Cheers! 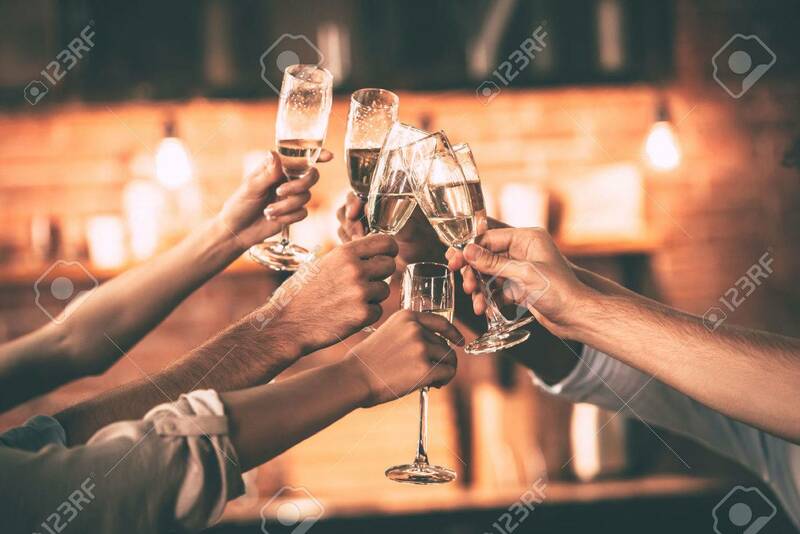 Group Of People Cheering With Champagne Flutes With Home.. Stock Photo, Picture And Royalty Free Image. Image 64179515.